With a family of six, I would expect there to be a lot of laundry. But there seems to be some other factor at work which is increasing the amount of dirty laundry in our house. Let’s see. Six people. Seven days in a week. Reasonably, you might assume one load per week per person would be plenty. Probably not even that much because we make sure to have enough clothes and underwear for everyone to easily go two weeks. We do way more than 6 loads of laundry a week. In fact, there is always at least one load in progress at all times. We already have the largest capacity washer and dryer available. So that can’t be the problem. 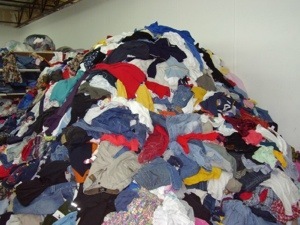 I believe I have discovered a force in nature that I’ll call the laundry multiplier principle. The amount of laundry goes up exponentially for each pair of people. Going from one person to two doubles the amount of laundry. Going from two to four people quadruples. And going from four to six people results in a mountain of laundry that can never be finished. Fruit snacks are a staple in our house. The 5th food group. The top of the food pyramid. Trying to get the kids to school on time? Fruit snacks. Need to calm down a cranky kid at the store? Fruit snacks. I have fruit snacks stashed in the car, in coat pockets, and any other place I may need them. We buy fruit snacks by the truckload at Costco. But I guess I’ve never actually read what’s on the box until now. 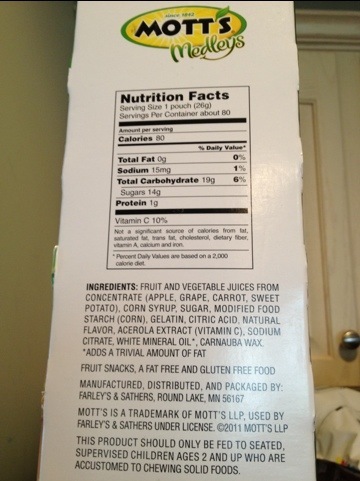 Apparently, fruit snacks are dangerous and should only be fed to seated, supervised children. Well, when does that happen? And, apparently they also contain Carnauba Wax. That doesn’t sound very good for them. As a semi-famous dad blogger I get a lot of public relations pitches for products and services that may be of interest to my readers. I ignore most of them unless a) I get something cool for free or b) I think it might actually interest you. I got one this week on the topic of Push Presents. If you aren’t familiar these are presents given to women after giving birth. I highly recommend that you give your wife a push present, especially if you are a first time expectant dad. This is definitely one of those cases where “no” really means “yes”, and “I don’t care” also means “yes”. Incidently, not being told about a desired push present is not an excuse for not getting one. As an expectant dad you don’t win. Get used to it. Back to the PR pitch. It started by quoting a Babycenter.com survey that found 38% of new mothers received a push present and 55% of pregnant mothers wanted one. I feel really bad for the husbands of those 17% that wanted one but didn’t get a push present. Good luck with that. Apparently the most popular form of push present is jewelry. Nothing surprising there. SuburbanMommy got some nice new jewelry a couple of times. Instead of jewelry, why not give your wife her body back? With new mothers on average taking 3-4 months to lose all the baby weight, it can cause some frustrations. Additionally, it can be very difficult for new mothers to get back to the gym within the first few months as they are taking care of their newborn. For fathers who are looking for the best push present without diamonds, Premier Fitness Camp, a five star fitness resort, has created a special ?Body Back? package which reflects a 30% savings off the original price. Starting at $4,550 for 7 days new mothers will receive the following treatment and be able to shed the baby weight fast. First of all, if you are an expectant dad and planning to spend $4,550 on a push present, I strongly suggest you spend it on jewelry. But more importantly, you do not give a pregnant or recently pregnant woman anything that may call attention to her weight, her body, or having anything to do with weight loss! I might have some experience in these matters. I might have once given a Wii Fit to a pregnant woman for her birthday after she told me she wanted one. I might still be paying the consequences for that colossal mistake. Researchers recently found out that kids prefer the taste of food that comes in a package with cartoon characters. Really? I had no idea. Oh, is this the reason they put all the Sponge Bob mac & cheese boxes at knee level where Thing 3 can grab it as he is running down the aisles at the supermarket? My kids are already well conditioned by brands and advertising. By the age of 3 they all knew Starbucks, McDonalds, and Target and ask for them by name. Except, of course, Thing 3 who defies any kind of conditioning and marches to his own beat. He absolutely loves Lucky Charms, at least we call them Lucky Charms, but in fact he will only eat the store brand “marshmallow oat cereal”. And trust me, he can tell the difference just by looking at the cereal in the bowl. 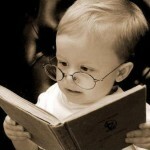 Posted on March 14, 2011 Categories current events, news, parents today, rants, Thing 3Leave a comment on Advertising Works. No kidding. It happens every year at this time. The holidays are over and we’re left with lots of new toys, games, books, crafts, silly bands, coloring books, dvd’s, and other stuff. Some of the stuff will used daily. But some will be used once and forgotten, or it will be broken after a single use. Then there is the dreaded stuff that has a million pieces which are scattered throughout the house by Thing 3 and Thing 4 and never to be found again, rendering the game/toy/puzzle useless. If you are one of our beloved friends or family who gave one of these gems, thanks, and expect payback someday when you have kids. And while we’re on that subject, please, please don’t get us any more toys which make constant, loud, annoying, impossible to shut off, noises. These toys will have the batteries removed by the anti-Santa. Haven’t heard of him? He’s the guy who comes at night after the kids are asleep and removes batteries. The worst part of all the new stuff each year is finding where to put all of it. It’s not like we had all this extra room a week ago. Drawers, shelves, and buckets are already filled to the brim with stuff. And now we have all this new stuff to find room for, most of which is crap, junk, broken, or forgotten already. I’m considering a new “zero sum” Santa policy next year. For every present he gives he also takes an old one away of equal size. So you better be careful about how many things you ask for. Is This What We Call Progress? We just finished putting all 4 kids to bed on a Saturday night. True cause for celebration. 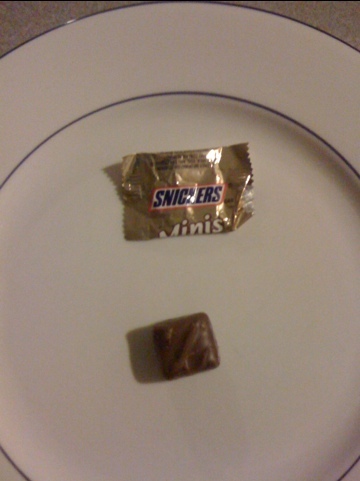 I celebrated by doing what I’ve done every night since Halloween – stole a piece of candy from their sizable stash. Come on, I know you all do the same thing. Nearly a week after Halloween it’s pretty well picked over and most of the really good stuff is gone. Now it’s filled with these teeny, tiny, bite-sized candies that hardly qualify as candy. When I was a kid, I remember getting full-sized candy bars for Halloween. Or at least ones that were more than a single bite. Sure, I know there is a problem with child obesity today and kids eat too much junk food and are getting fat blah blah blah. And I know it’s touch economic times and people need to cut back. But aren’t some traditions worth keeping? Posted on November 6, 2010 November 6, 2010 Categories funny, rants7 Comments on Is This What We Call Progress? There was a segment on the Today show this morning about the Your Baby Can Read DVD “Early Language Child Development” Program. Apparently, there are parents who, after spending hundreds of dollars on the DVD’s, feel cheated and duped because they believe the program to be a scam. After using the system, their babies were not able to read. Just how many gullible parents are out there who think a DVD can change the course of human development and teach babies to read? Well, if this is any indication, the Your Baby Can Read Facebook Page has over 11,000 fans! I have an idea. How about a DVD that teaches parents how to not spend money on worthless crap that claims will make your kid smarter? You can have it for only $14.99. This year Santa brought Thing 2 a transformer, Optimus Prime. It’s a robot that turns into a truck. The age range was 5+ but at 4 1/2 years I thought he could manage with some assistance from his big brother. 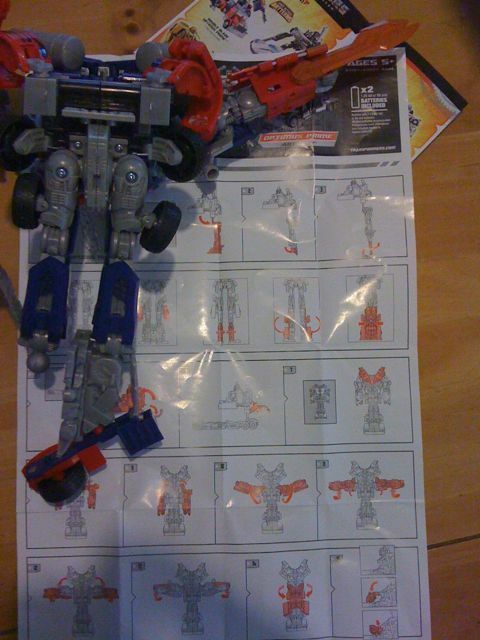 When I saw the instructions I knew immediately he’d have no chance to transform it. I dutifully started on step 1 of 28. It didn’t take long to realize this was no ordinary assembly. I have successfully assembled hundreds of toys, bikes, cribs, and high chairs. I can install car seats. As a kid I took stuff apart just to put it back together. I have a degree in, of all things, mechanical engineering. I write sophisticated computer programs for a living. 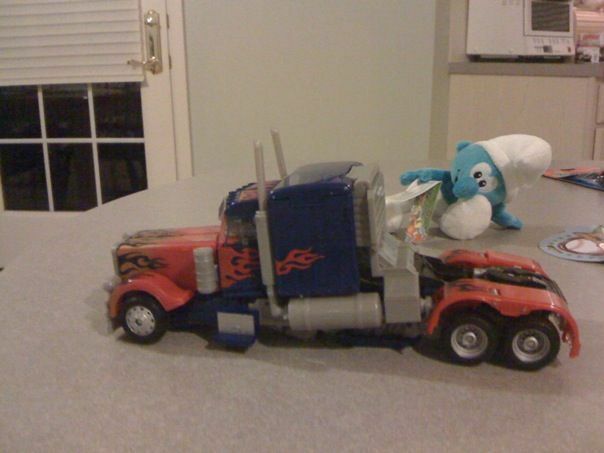 Yet, it took me 9 hours to transform Optimus Prime into a truck! Sort of… because the wheels still don’t lay flat.